Does this mean that being poor makes one uneducable? Or, does it mean that parents who did not have the opportunity of go to college — for whatever reason — do not understand the importance of education? Absolutely not. Fortunately for us all, history does not agree with the “correlation” that is drawn here. Quite the opposite is true. 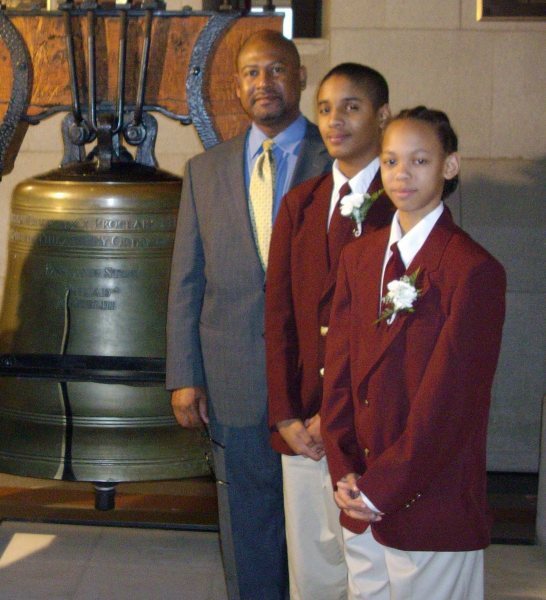 On September 7, 2010, The Hartford Guardian’s article, “Jumoke Academy Touts Successes,” tells a completely different story: “[T]his past year 100 percent of students at Jumoke Academy performed at or above proficiency in math, while 97.5 percent scored at or above proficiency in reading. These scores are higher than the state percentage and surpass surrounding public schools in Simsbury, New Canaan, Greenwich, Glastonbury, and Farmington. And with 90.5 percent of students performing at or above proficiency in writing, Jumoke remains competitive.” These are African American students who are out-performing their counterparts in public schools in some of the wealthiest cities and towns in Connecticut. Perhaps the State Board of Education should visit Jumoke Academy and chat with Dr. Michael Sharpe (President and CEO) about their success. Last week, Geoffrey Canada, President and CEO of Harlem Children’s Zone, was interviewed on Oprah. Canada shared that 98 percent of his students graduate high school and of that 98 percent, 89 percent enter four-year colleges. Clearly, HCZ’s achievement completely debunks any potential myth that because one is poor or one’s parents are not college graduates, means that a student from this background is uneducable. Harlem Children’s Zone is effective at increasing the achievement of the poorest minority children. Taken at face value, the effects in middle school are enough to close the black-white achievement gap in mathematics and reduce it by nearly half in English Language Arts. The effects in elementary school close the racial achievement gap in both subjects. We conclude by presenting four pieces of evidence that high-quality schools or high-quality schools coupled with community investments generate the achievement gains. Community investments alone cannot explain the results. In March of this year, this photo and the amazing story behind it circulated the Internet, capturing everyone’s heart and filling us with hope for a brighter future. 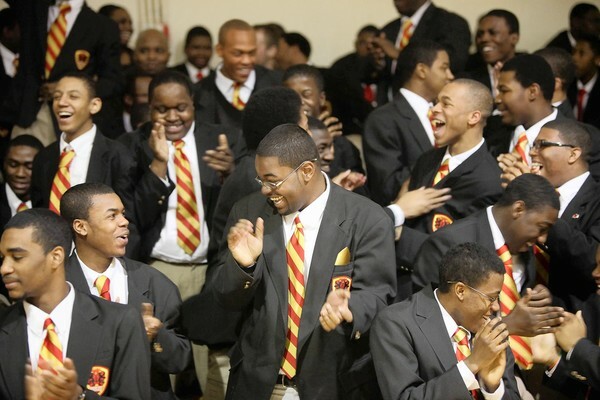 What an amazing story of 107 young black men from Chicago’s south side in a neighborhood that, according to the previous census, was comprised of 98.8 percent African Americans and a median income of $18,955, would begin to turn itself around and in 2010 produce such excellence. Hartford CT, Harlem NY and Englewood IL are just a few of the stories that dispels any misguided thinking that because of one’s lack of wealth, one is uneducable. These success stories must become a consistent part of our thinking and our vocabulary as we embark on reforming public education.